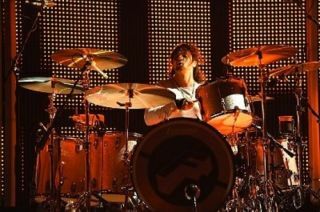 Jason Sutter has today been announced as the new sticksman for British-American rockers Foreigner after three years on the road performing with Soundgarden frontman Chris Cornell. Sutter fills the drum stool recently vacated by Jason Bonham. He has his own thing going on right now. Jason, who has also played with Smashmouth, American Hi-Fi, Vertical Horizon and Juliana Hatfield, will head out across the US this month with the band on the mammoth United In Rock tour. The band then head to Europe for festivals - including the Classic Rock Magazine-sponsored High Voltage Festival in London on 24 July.